People says “Life is like a roller coaster with ups and downs”. This also applies to our Whimbrel satellite tracking project. 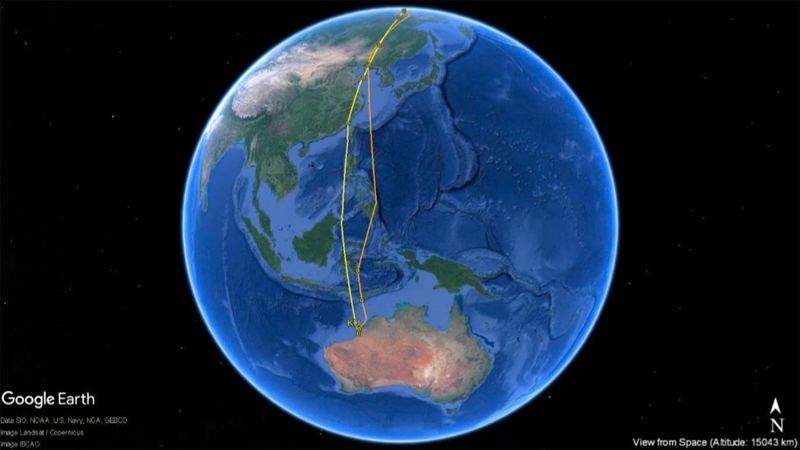 Hurray to KU’s return to Australia after its more than 19,800km migration journey of 195 days to and from the breeding ground! KU departed its breeding ground around mid-July, after making 3 stops in Northern China, Sulawesi in Indonesia and Timor-Leste, it arrived Australia Mainland on 29-Oct-17. View the whole story, download the pdf..
Get the latest news from the AWSG and across the East Asian-Australasian Flyway. More ..
We produce two publications; our official journal, The Stilt and our Newsletter, The Tattler. More .. The AWSG has affiliated groups in every state of Australian and New Zealand. More ..
BirdLife Australia is proud to be the nation's largest bird conservation organisation. As an independent, not-for-profit organisation, our aim is clear: to create a bright future for Australia's birds. More ..
BirdLife Australia is an organisation that has a clear commitment to action and results. We’re proud of our achievements, but we know there is always more to be done. But we can’t do it alone - we want you to get involved. More ..
To ensure the future of waders and their habitats in Australia through research and conservation programs and to encourage and assist similar programs in the rest of the East Asian-Australasian Flyway and network of shorebird sites.